A report on the eight biggest condo markets in Canada was recently released by the Conference Board. Mass media quickly picked it up and started spreading its message. 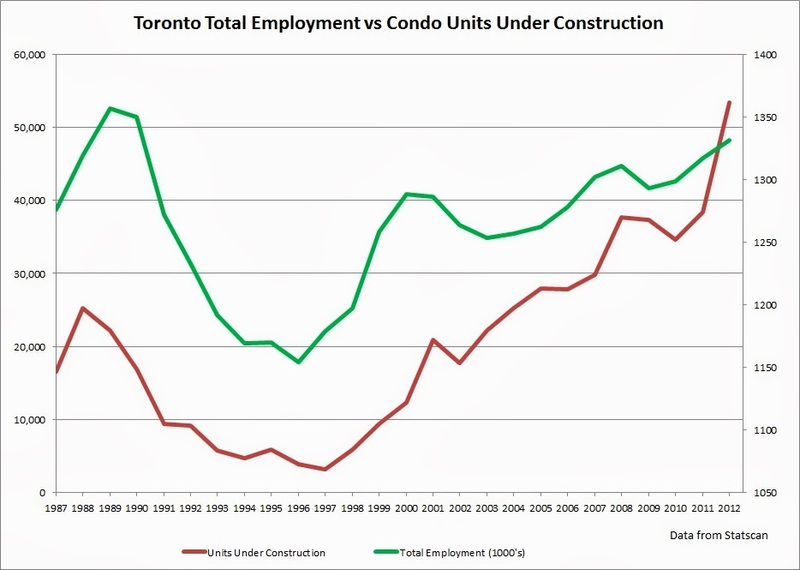 The condo crash is unlikely due to strong population growth and job market growth. Too bad you can't take this report seriously. How come? The study was funded by Genworth Canada, the largest private mortgage insurer in the country. Conflict of interest aside, let's examine the claims made in the report. Will growing population save the day and prevent a condo crash? 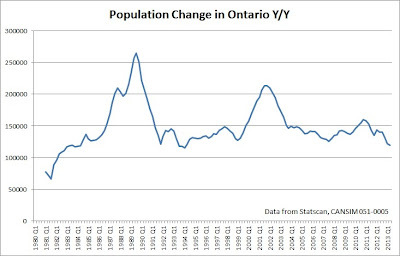 As was originally pointed out by Ben Rabidoux, the population growth in Ontario is at 20 year nominal low. 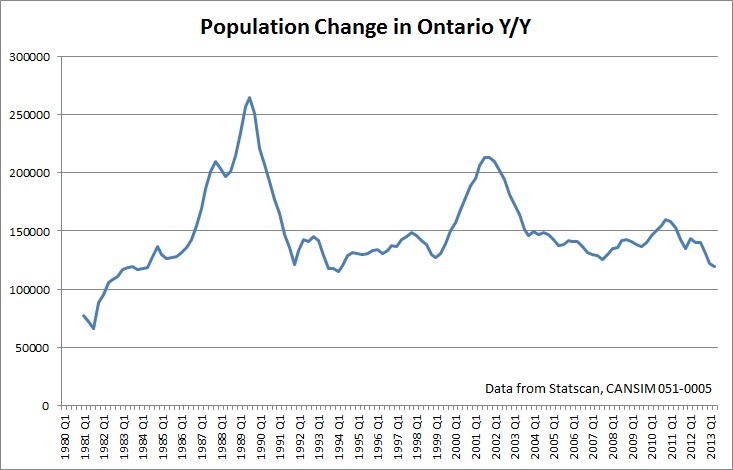 So sorry Toronto, population growth won't save the day. Interestingly, less and less immigrants are deciding to come to Toronto. Wonder why? Probably because condos are too expensive! And how about the growing job market? Well, guess what is going to happen to the unemployment rate in the city once all the condo towers under construction are finished? 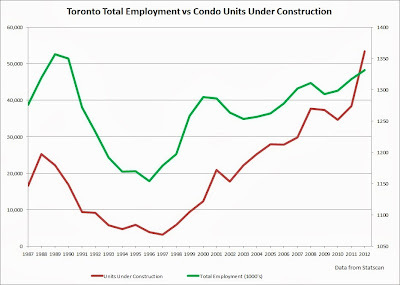 Yep, you got it, all those construction workers will be on EI or welfare as developers hit the breaks on new projects. Remember new condo sales have crashed by over 40% in 2012 alone. All in all, Toronto brace yourself, the condo crash is coming!